Imagine you have a cognitive affinity with your record dealer who recognises your talent and asks you to play warm-up for him. In the case of Cyril Etienne des Rosaies alias DJ Deep, the record dealer was non other than Laurent Garnier. 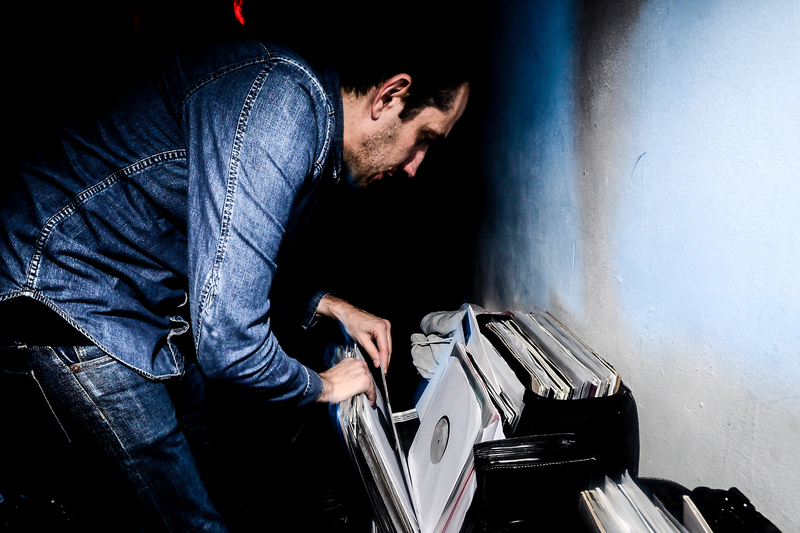 For more than two decades, DJ Deep pre-filters vinyl crates rigorously in order to fulfil his role model of a DJ, a person that informs the audience via a personal selection of relevant music without compromise. Retrospectively speaking, it doesn’t surprise that he chose radio as a medium in the early ’90s to convey his authentic message of house and techno for more than a decade — a journey at which DJ Gregory and Alex from Tokyo joined him at a later stage as well. His passion for producing music reinvigorated recently, so we took the opportunity for an EDHID chat. Hi Cyril! When was your first contact with music and how did it influence you to embark on a musical path? Hi! I don’t remember precisely when I had my first contact with music, but I remember that I decided to get involved with music when the house and techno movement was emerging. Compared to other cultural centres, Paris’ electronic music scene was relatively small in the late-‘80s. How did institutions like Bonus Beats or other venues contribute to conveying and spreading the message of house and techno? Bonus Beat was a record store. I think Paris caught up pretty fast on the true origins of house and techno and therefore there has always been a strong group of people loving and caring for this music. Do you think that the mass of music released today deprives the mystique of acquiring knowledge through liner notes? I think if people would question themselves before releasing a record, in such a way as: ‘am I not contributing to overflow a music genre which is struggling for finding a new direction’, for instance, it would be good for everybody in that scene. How important is it to be deeply rooted into the legacy of house and techno for making forward-thinking music? Well the answer is included in the question. How could you think of where you are going if you have no idea where you are coming from? Can you describe your studio approach? Do you prefer old equipment or do you enjoy exploring new opportunities of digital production? I think a good approach is to use a bit of both worlds. New releases under the moniker Rebeval or your collaboration with Roman Poncet as Adventice are next in line. Did you take a break to focus more on studio work? No I did not take a break, on the contrary, I have been very busy in the past eight months with DJing, re-designing also Deeply Rooted with artists I met and preparing a new concept for the label. Meeting also Roman Poncet was a unique experience, I learned a lot from being in the studio and working with him. It gave me a lot of confidence to resume music production that I abandoned back in 2003, at the time when I started my labels Deeply Rooted House and House Music Record. So it’s an exciting new start and yes Rebeval on L.I.E.S., Adventice on Tresor and also our Sergie Rezza project (Roman Poncet and myself) on DESIRE records stand in queue. Do you think the time is right for a debut album? Yes, the album should be out before the summer. After 10 years your label Deeply Rooted House transformed to Deeply Rooted. Does techno offer more opportunities to gain momentum in musical progression? Starting with your ‘A Deep Groove’ radio show, you significantly influenced France’s radio landscape with a pure definition of house and techno. Did classical FM band radio become obsolete in times of streaming services? I don’t know really, I mean I think radio is still relevant to a certain extent, but of course the Internet with it’s podcasts and radios seems to have a certain supremacy nowadays. Rebeval’s EP will be released on January 27th via L.I.E.S Records. Tresor will release Adventice’s Extraction on February 23rd, and Hydraulic Pressure on March 9th, 2015.